Welcome to your new home in the heart of Temple Terrace! This one-of-a-kind beauty is waiting for a special new owner with 4 bedrooms and 2 bathrooms with over 1,800 square feet. 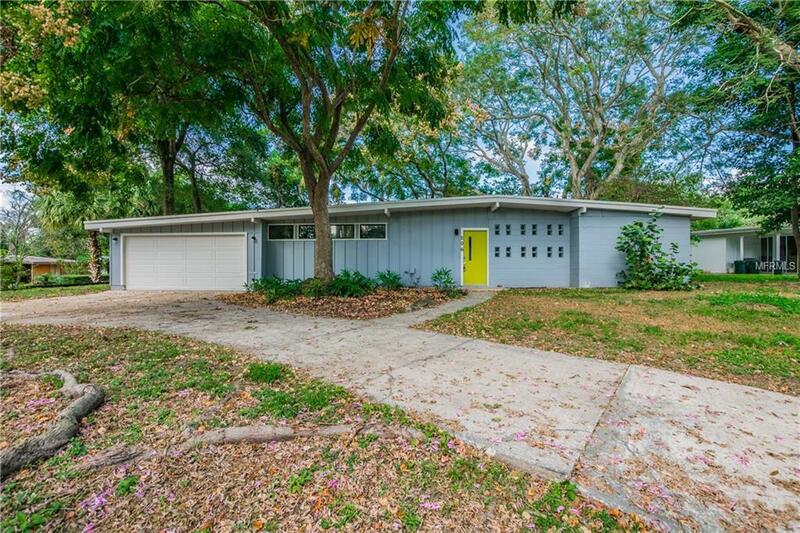 This newly FULLY REMODELED block home has been updated to reflect the beautiful original characteristics of a true Mid-Century with Modern amenities.This home sits on a large corner lot, the circular driveway and large 2 car garage makes storing your toys easy. Open concept with character. Home features new tile floors, new lighting, new STAINLESS STEEL appliances, GRANITE countertops, TONS of kitchen cabinet STORAGE, renovated bathrooms, new hardware and 2 sided fireplace. Freshly painted interior and exterior. Very spacious family room that flows right outside to covered and screened in OVERSIZED LANAI. Perfect layout for entertaining and keeping an eye on little ones. Enjoy 2 closets in the master bedroom and still have plenty of space with 3 additional bedrooms. Fabulous location, roughly 1 mile away from the Temple Terrace Golf and Country Club. Central to what Tampa has to offer, and still maintain the local community vibe.